The Detached Body Caddis is a buggy all-purpose pattern that should be in everyone’s fly box. In my waters it comes to good use in early summer when the small white winged bugs are emerging. The prime time for this one is in the first part of the season, and in the final stages of the summer and fall. 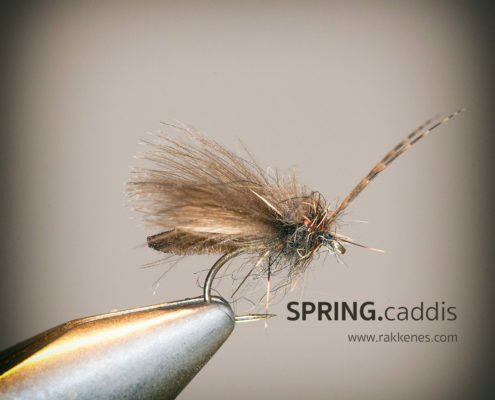 It’s actually quite simple to tie, the Detached Body Caddis. Once you get the hang of it it should be tied in no more than five minutes. 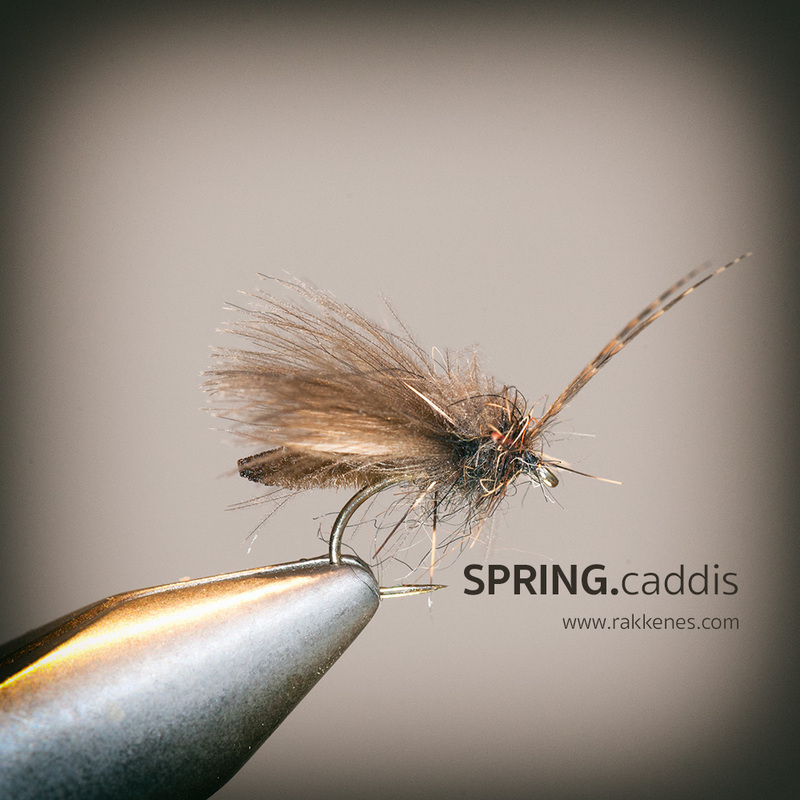 As you can see from the SBS video below, I like to tie it where the spikes and barbules add to the buggieness of the fly. I think that an untidy fly like this adds to the attraction once it’s in the water. The most important thing is to pay attention to the balance on the hook. Tie in the body at the hook point. The elk hair wing should be slightly shorter than the body, and the second wing the same length as the chenille. If you are having trouble with tying in the antennas – drop them. They are more eye candy to the fly tier than a real attractor. Remember to use a dry wax on the thread! Apply a good floatant, such as the Dry Dip Super on the entire fly. This is fished like a usual dry fly.